After a decade promoting bestselling authors for New York publishing houses, Jane Heller became one herself. Her 13 novels of romantic comedy, nine of which have been optioned by Hollywood for film and television, are entertaining readers around the world - and are just out in ebook editions for the first time. Book #14, a nonfiction title, explored her passion for baseball and the NY Yankees. 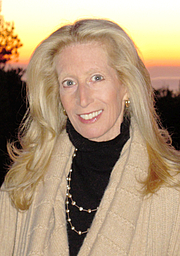 Her next book, also nonfiction, is due in November 2012 from Chronicle: "You'd Better Not Die or I'll Kill You: A Caregiver's Survival Guide to Keeping You in Good Health and Good Spirits." Visit her at http://www.janeheller.com. Jane Heller is a LibraryThing Author, an author who lists their personal library on LibraryThing. Jane Heller is currently considered a "single author." If one or more works are by a distinct, homonymous authors, go ahead and split the author. Jane Heller is composed of 3 names. You can examine and separate out names.